This is one of the simplest ways to prepare dough for rotis or Indian flat bread. Ever since I have come across this method, kneading is no longer a headache for me. It is a no fuss way of kneading dough for rotis. You will find it easier than the traditional way that you have been following this far. After 30 minutes, all you need to do is gather the dough and knead it lightly for one minute. Your dough is good to go for rotis. Enjoy soft, fluffy rotis. I came across this method while watching OPOS videos created by mentor Rama Krishnan. It has changed the way of my cooking, made it easier than ever. I spend less time cooking meals and more time doing food experiments these days. 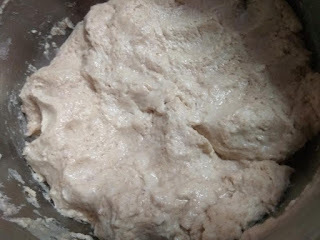 Nevertheless coming back to dough kneading technique, known as autolysis, this is primarily a bread kneading method. But I find it easier to knead dough for rotis - super quick and simple. This no mess, no fuss dough making technique, which requires little to no kneading. I can relate to this dough kneading method, as I have seen my mother in law do something similar. What she does is take flour in a pan and immerse it in water. Then she leaves it undisturbed for half an hour. After that all she does is gather everything and knead. Chapati or roti or Indian flat bread is a quintessential part of Indian diet. In North India, roti is a staple enjoyed in all the three meals of the day. 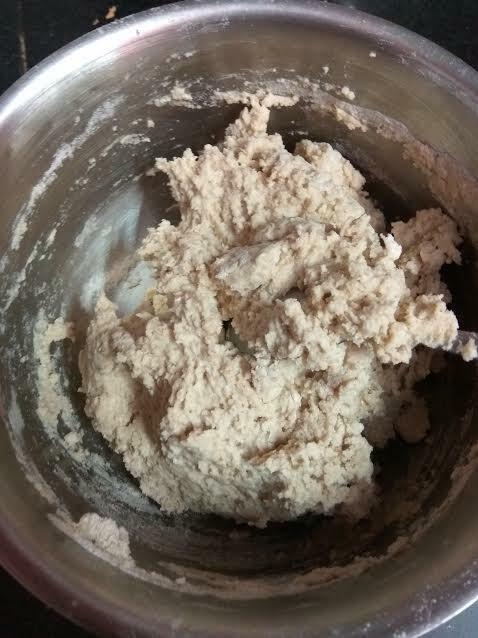 Ideally the no knead technique allows the flour and water enough time to interact, helping the flour absorb more liquid. In the traditional dough kneading method, you force water into the flour, and knead and push it too much, which will speed up activation of gluten and the flour cannot absorb water on its own. But this method of roti making is different. Add oatmeal. You may use whole wheat flour and any other multigrain flour if you so wish. Mix oatmeal well with a spoon or knife. Then add whole wheat flour and mix until no dry flour is in sight. Leave it covered for 30 minutes. After that, all you need to do is gather the dough and push it slightly, just like kneading. This helps activate gluten in whole wheat flour, which gives you soft, fluffy rotis. 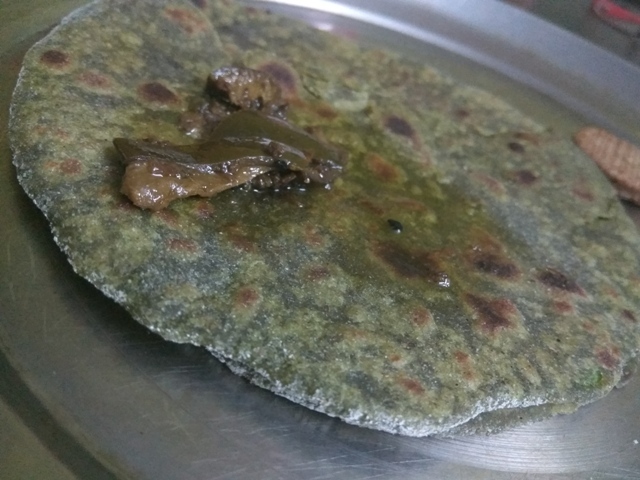 The best thing about this autolysis roti making technique is that rotis remain soft for a long time. Put the water in a vessel. You may take lukewarm water or normal water. Immediately add fenugreek powder and flax meal to it and mix. Next stir in oatmeal and bran (you may add more amount of oats as per your requirement). Mix and immediately add whole wheat flour. Mix well with a spoon or laddle. Keep it covered for 20-30 minutes. After half an hour, you will see every ingredient gathered into a dough on its own. The flour should have absorbed the water itself, without the need to do so. Use your wet hands to gently knead it once or twice. Done; start with this no knead/autolyzed dough and make soft, fluffy diabetes-friendly rotis. When you try out autolysis for kneading dough, you will never look back . Personally, I have never kneaded the dough the traditional way ever since I heard of autolysis. It had made life easier and mess free. 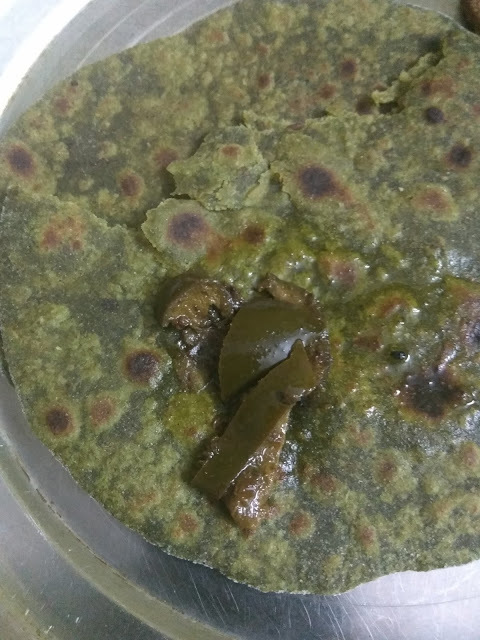 Here's how you can follow the same no knead process for palak parantha. Prepare palak puree with the given ingredients. Take the puree in a big bowl. Add jeera, carom seeds, and oil/ghee. Gradually add atta to the puree. Keepmixing with a spoon until just mixed. The mix should look like wet sand. Let the atta mix rest for half an hour. After 30 minutes, use wet hands to combine the ingredients into dough. You do not need to knead the dough. 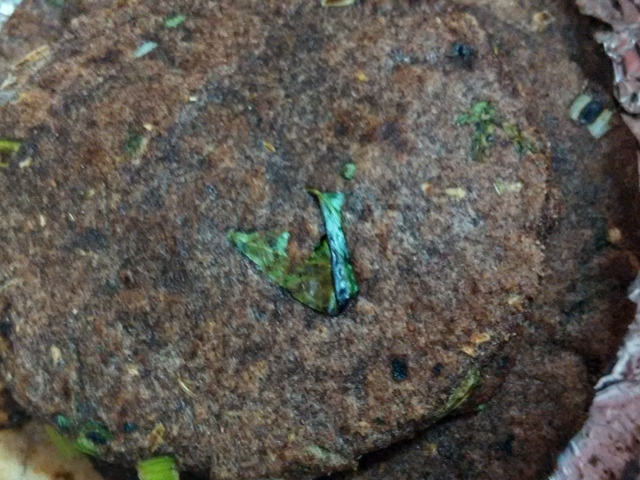 Just press once or twice and your palak dough is ready to go on the tawa in the form of roti. You will enjoy super soft rotis with autolyzed dough - that's a promise. I came across VV's ragi akki roti post in OPOS School on the no knead ragi dough. VV is a millet queen. Take a 2-or 3 liter pressure cooker. Add water, salt, and oil to it. Cover with lid and pressure cook on high for 1 whistle. Immediately release the pressure and add ragi flour. Mix it speedily and allow the mix to sit undisturbed for 15-20 minutes. By allowing it to rest,you will get to experience the magic of autolysis in the form of a beautiful dough. Mix all the remaining ingredients in the dough. Your ragi dough is ready for making akki roti or ragi parantha. Rolling out the ragi dough is just like making a makki ki roti. If you face problems rolling out the dough, I have a simple technique. Take a butter paper or aluminum foil, dust it with flour. Roll out small balls of ragi dough. Take one ball and place it over the butter paper. Take a plate. Press the ragi ball with the plate. Cook it just like makki ki roti. Thnx for sharing such a lovely technique. Warm water usage was known to me but nvr tried keeping the dough for resting like this and today after trying realise it does makes better chapaties. Exactly! 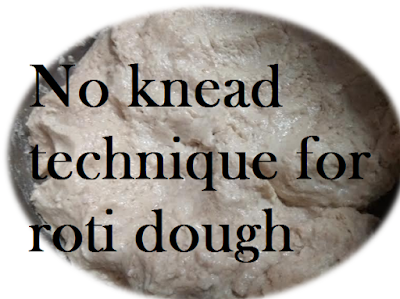 It is the easiest, no fuss technique to knead dough, isn't it? Earlier kneading was a big hassle for me, but not any longer :) Happy me.